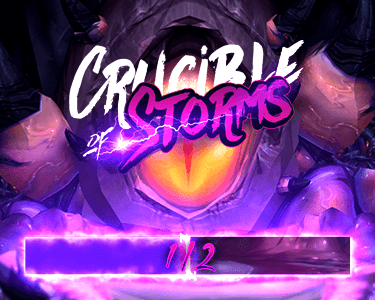 The Mythic Dungeon International proper has started, moving into the Time Trials phase after the Proving Grounds seeded all the teams, and the very first cup of the new competition has finished with Method EU finishing up at the top! The new year brought lots of changes to the MDI (with even the I getting a makeover, becoming the International from the former Invitational) and we now have a whole year of cups to look forward to. The teams can earn MDI points and a chunk of a pretty nice prize pool as well (consisting of $12,000 per cup and $250,000 for the LAN finals, further enhanced by 25% of sales of select WoW toys) on their way to the Grand Finals later this year. This past weekend's Spring Cup #1 West saw a lot of interest as 70,000 concurrent viewers watched on the official WoW streams alone as Method EU took home the win. They had to push some pretty tough competition to get there, with Team Puolukka and Abrakeydabra standing in their way on the road to the finals, where it was none other than Method NA that awaited them. They went head to head in Waycrest Manor (Fortified, Bursting, Tyrannical, Reaping) and the Underrot (Tyrannical, Sanguine, Volcanic, Reaping) at +18, with the EU team getting through almost flawlessly. And so big congratulations to Naowh, Zaelia, Gingi, Fragnance and Meeres on their first win of the season, with many more to come. You can check out the entirety of the final matches below and find even more info on the player's stats, classes and specs over on Raider.io.